If you’re working on a project or a monthly reporting process, document control can be the most time-consuming activity. Often there are so many documents that it is difficult to keep up with all the inputs and revisions flying about all over the place. Which documents have we got? Which documents are missing? Have we got the latest version of this or that? When was a document revised, or superseded by a new version? Aaaahhhhhh! Too many questions. This is why I created a Document Control Template for Excel, it enables me to keep track of documents for all important processes. 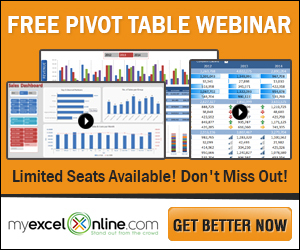 If you think I’m just talking about using a spreadsheet like a list, then you’ll be pleasantly surprised. It’s so much more than that. The biggest benefit of using a Document Control Template is knowing the specific file path of each document. As it then becomes possible to use other automation macros, such as consolidating workbooks, merging PDFs, or printing specific schedules of each workbook. This automation is much harder or impossible if = the exact file path of each document is now known. Much of the code for the Document Control Template can be found in the VBA Code Snippets library. To find out more information on any of the VBA code below, follow these links. 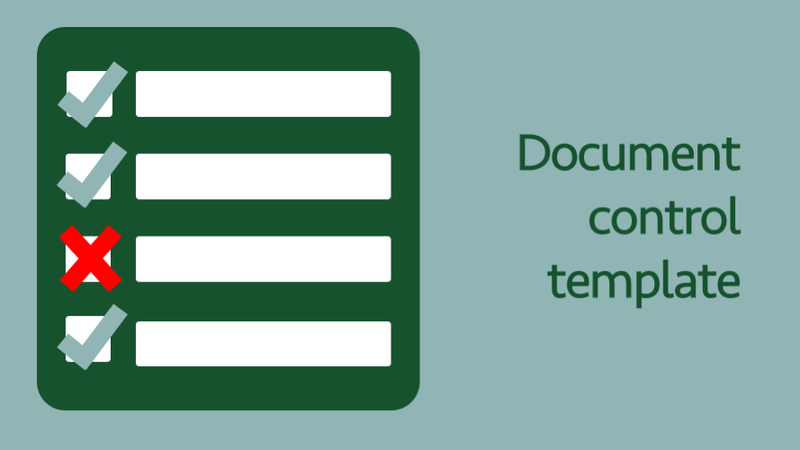 The Document Control Template is available for newsletter subscribers to download for free. You do not need to download the file to create your own Document Control Template, all the instructions and VBA code are in the sections below. But, it will be much easier to follow along if you have the Template downloaded. If you just want to get stuck right in, you can download the file and ignore the second part of this article. Existing newsletter subscribers can enter their name and e-mail address into the form below for instant access to the download. Or, if you are not a subscriber yet, can enter your name and e-mail address to become a one. Whilst I try to create safe and reliable templates and add-ins, I can (and often do) make mistakes. Please backup copies of your files before opening this template or running any VBA code. If you do find any bugs or errors, please let me know using my contact page. By using any templates, add-ins, downloads or information from the site, you agree that I will not be held liable for any type of damages, and use is entirely at your own risk. Using the Document Control Template? Below is a screenshot from the Document Control Template, each feature is described below. To ‘Check In’ a file, select a cell with a valid file path (e.g. Cells E15-E19) then click the Check In button. A file selection window will open, navigate to the location where the file is currently saved, click Open. For this button to work a “valid file path” is where the folder exists, but the file name does not. The selected file is automatically moved to the file path selected in the cell. Select a cell containing a valid file path (e.g. Cells E15-E19), then click the Open button. For this button to work a “valid file path” is where both the folder and file exist. The file will open within its default application. The Update button functions in a similar way to the Check In button. The key difference being the file must already exist in the selected location. 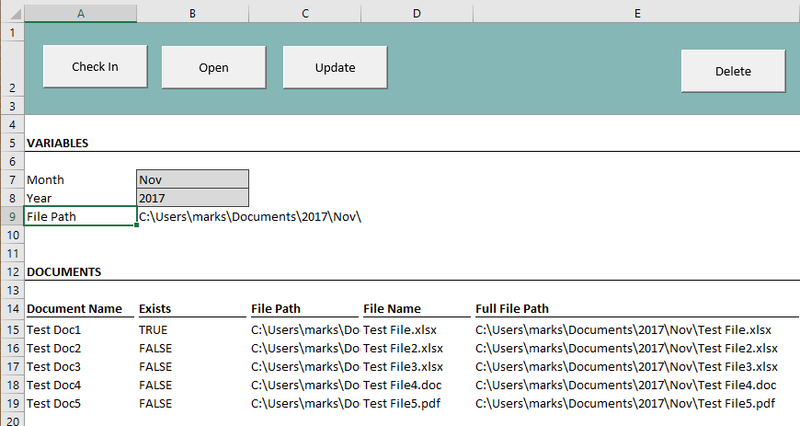 The existing file is renamed to include the day and time it was replaced, then the new file is renamed to the file name in the selected cell. Select a cell containing a valid file path, where the folder and file already exist, click Delete. The file will be deleted. Cells B7 and B8 are variables. These are used to construct the file path in Cell B9. If the year or period changes, so does the file path. This makes the template useful for any regular reporting cycles, just change the variables and subsequent files are saved in a new location. Cells B15-B19 displays TRUE or FALSE to indicate if a file already exists in the location shown in Cells E15-E19. In my template, the File Path (Cells C15-C9) is based on the value in Cell B9. However, the file path could be unique for each file, and could incorporate other variables. The file names (Cells D15-D19) are the names which the files will be renamed to. Using invalid file paths will trigger warning messages similar to the one below. The VBA code also checks to ensure the file is not already open by another user. There are many ways this file could be used, it is up to you to work with it and see what you can achieve. If you’re interested in making your own Document Control Template from scratch, or if you’re a VBA fan, then all the necessary steps and code are contained below. Copy the code below into a Module within the Visual Basic Editor. I won’t go through the code line by line, there are comments within the code provide some guidance. 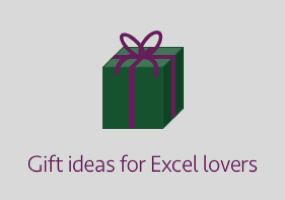 Or check out the articles in the VBA Code Snippets Library for further information. doesFileExist = Dir(filePath) <> ""
doesFolderExist = Dir(folderPath, vbDirectory) <> ""
'Try to open and close the file for input. dialogBox.Title = "Select a file"
MsgBox "Unable to Check In the file"
Screen shot below shows how to create a button and allocate a Macro. Right click on the Button to edit the text to your requirements. The last thing required to create the template are cells with folder and file paths. How you create these paths is up to you, in my template I have chosen to use Year and Month as variables to construct the file path. This enables the document to be used for a monthly process. File paths must be valid. For Open, Delete and Update the specified file must already exist in that location, for Check In, the folder must exist, but the file does not exist. File paths must be valid. For Open, Delete and Update the specified file must already exist in that location, for Check In, the folder must exist, but the file most not exist. 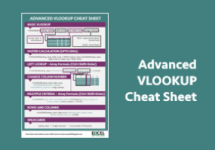 The VBA code includes a User Defined Function, which checks for a file’s existence. In the User Defined Function above the file path is contained in Cell E15. The function will return TRUE if the file exists and FALSE if it does not. The final step is to save the file you have created as a macro enabled workbook, an .xlsm file type. There was a lot of code in there, but keep referring back to the original document, and it should all makes sense. Having a document control template has saved me hours of time every month, I hope it will give you similar benefits too. It’s always fun to see what you get up to. I’ve been using classes to encapsulate much of the automation that I have to do regularly. Hey Mitch – thanks for dropping by. You’re right, PowerQuery and my Document Control Template would work really well together. Once you can easily control file names the opportunities for automation with PowerQuery are massive. Document control has transformed how I work, so I’m glad that others can see the benefit too.